Your Para-educator will play a vital role in your classroom. He or she will be the central person you collaborate and connect with when assessing your student’s educational progress. The Para-educator has a unique role that comes with its own set of challenges. If you share responsibilities and offer a helping hand, the para-educator will become a valuable tool and friend when maneuvering through any difficulties during instruction time. Here are some tips to pass along. Imagine if every student had an aid? There would be enough adult eyes to catch every major and minor infraction. Since this is not the case, it is normal for children to act silly, get distracted, and misbehave- without the teacher catching it. There is a tendency to over-manage a special needs student because the aid is able to address every little bit of silliness. Encourage your Para-educator to let the small things slide. It’s as if a parent were right there, parents would need to move away from their child in order for that child to open up and learn. The same holds true of an aid. The best way to encourage this is to voice your opinion then ask for help with classroom organization and activities. Even though your classroom aid is there to primarily help the special needs student, encourage him/her to interact and help with all the kids in the class. If you give them more responsibility over the class, it allows you some time to spend with your student one on one. Other students can also play this role. Utilize your aid as a teacher, not just a babysitter. Students in general really do need a lot of attention and this way the aid blends in with the classroom. Students will feel as if they too have special treatment and the child with special needs won’t be seen as so different after all. In fact, many times students welcome that student in other ways because they feel as if there’s a more positive atmosphere in the classroom and that the teacher isn’t totally focused on them. It is tempting to give your student more help – after all, a child with down syndrome has many more obstacles to overcome. However, learned-helplessness can be a real problem if you or your aid is constantly jumping in to rescue the child. It’s a fine balance to give the kind of help he/she truly needs while giving him/her the space to take risks and make mistakes. The mistakes might be dropping a pencil. The student should pick it up, not the aid. Perhaps the mistake is social. The special needs student might poke another student with the pencil. Encourage the aid to wait the next time it happens and see how the students interact with each other. Then the aid can guide the students instead of solving the problem for them. As much as possible, give warm encouragement and support – even when the child hasn’t successfully completed the task. Celebrating effort and progress are as important as celebrating mastery. 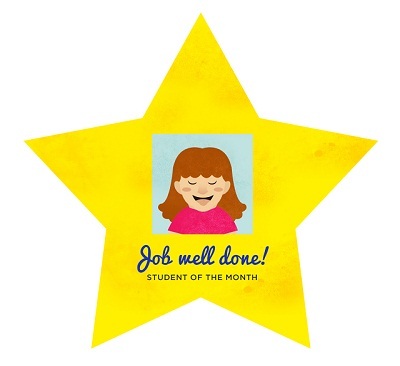 Encourage your classroom aid to give frequent “job well done” reinforcements! Now, the journey to the moment of “job well done” may not happen right away. That’s just a reality. But, knowing this, teachers keep the idea of positive reinforcement in the back of their mind. In the midst of completing an assignment, there may be five or six issues to be tackled before the final moment of praise. The student might jump up out of his/her seat and try to talk to another student across the room or might start writing on the board just because he/she feels like it. Inevitably there will be issues that need attending to; helping with meals, going to the bathroom, dealing with physical handicaps, etc. You and your Para-educator should try to minimize any gawking effect by handling all these issues discreetly and without any pomp and circumstance. When it’s simply impossible to be discreet, deal with it as gracefully as possible. Teachers are often surprised to find when they’re struggling to help a student, another student jumps up and offers help. More often than not, that’s the best teaching moment of the day. When one student does that, another will, then another. It will become “the norm” after awhile.